Readers of this blog and locals probably know that during the recent firestorm Cal Fire bulldozers cut fire breaks on the Montini and Overlook properties. We are happy that they did this, as it was essential to protect the town. But nonetheless we were concerned about these scars as we are entering the rainy season. Cal Fire and the City of Sonoma worked hard to mitigate the impacts of those scars, and that work is already paying off. The Stewards had planned to meet this morning to spread seed over the cuts, but we canceled due to rain. 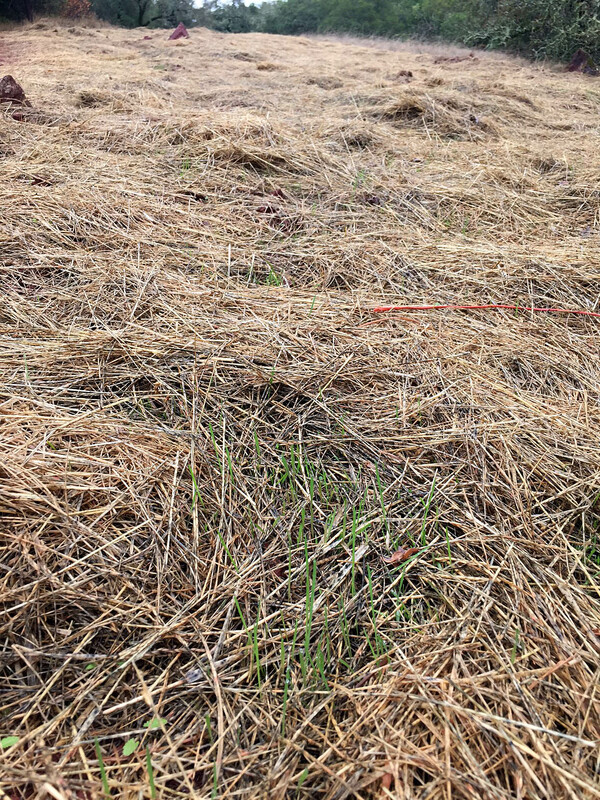 I went hiking anyway and spotted a lot of grass starting to poke through the straw that was laid down on some of the cuts. This was surprising to me, as bulldozers moved over those cuts not once, but twice (once to make the cut and again to spread the mounds of soil left from the first time) and grass is already coming up. That’s a really good sign that Mother Nature is going to heal itself, with little intervention from us. We will monitor the situation, and seed where it looks like it needs it, but for now it might just be enough to let nature take its course. The Overlook Trail Is Now Open! 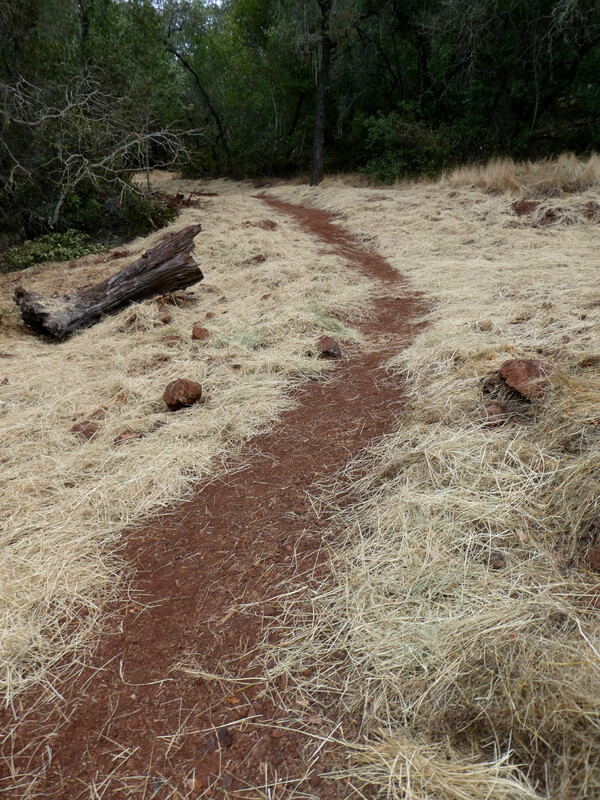 I am very happy to report that Cal Fire came with 30 people to work on the trail and have made it usable again. So the trail is open! Please join us in thanking Cal Fire for all they have done to not only save much of our community but also to mitigate some of the damage that was necessary to fight the fire. A truly heroic effort. 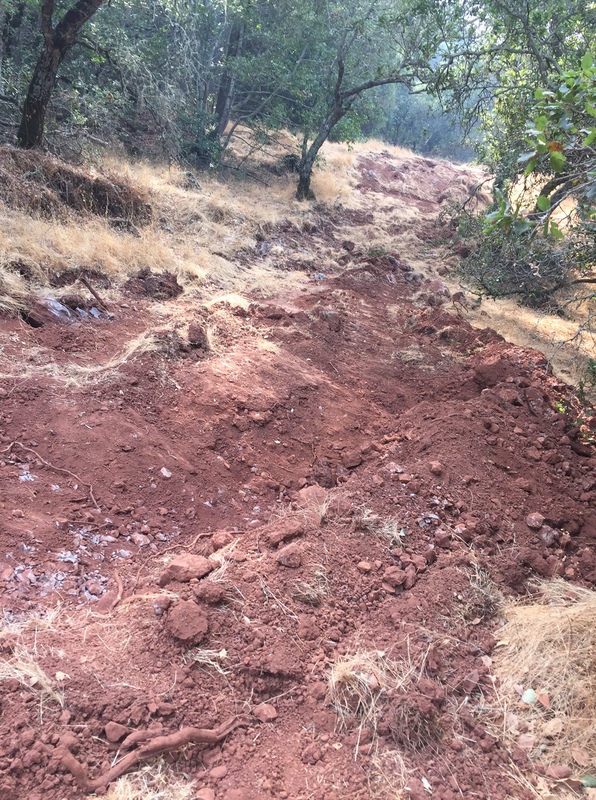 We also want to thank the Public Works team of the City of Sonoma who prioritized fixing the trail: Chris Pegg, Trent Hudson, and Colleen Ferguson. Meanwhile, our hearts, minds, and money should also go out to our fellow local citizens who have lost, at least in some cases, everything. Others have lost jobs, paychecks, or other things and require our support. There are many, many ways to support those who have been damaged by these fires. As you once again hike or run the Overlook, we encourage you to keep them close to your heart. Anyone reading this blog is likely aware of the wildfires that broke out over a week ago and are still burning parts of Sonoma, Napa, and Mendocino counties. Our hearts go out to all of those affected — many substantially. Also, all of the first responders, from both near and far, have our everlasting gratitude for what they’ve done to save our communities. One thing they did was to bulldoze firebreaks in the hills, to set up lines that could be defended and stop the fire in the hills before it came down to burn our neighborhoods and towns. Today I went out on the Montini Preserve and the Sonoma Overlook Trail to see how they had fared. Neither property had been touched by fire. But firebreaks were carved on both properties, with the Montini Preserve not nearly as impacted. The firebreak on the Montini essentially followed the existing dirt road up the hill, and thus only crossed one trail. That is likely easily fixed with some shovel work. The Overlook did not escape damage so easily. Bulldozers crossed the trails probably 15-20 times, and in places left substantial damage. Several spots will need to be completely rebuilt (see picture of a portion of Rattlesnake Cutoff). Because of this, we are closing the Overlook until we can get the trails repaired, and in the meantime we are directing hikers to the Montini Preserve. Please bear with us as we work to recover the trails so many of us love.